It was a horrible, rainy day at Tall Oak Acres. Cassie Woods sighed. What with all the rain and muddy fields, Cassie was sure that most of her "friends" wouldn't make it to the farm. She knew them, but not as well to call them friends. They were more like...acquaintances. Cassie knew that there was one friend she could count on coming. Her best friend, Ashley. Ashley Mae. The phone rang loudly, jolting her from her thoughts. "Hello? Tall Oak Acres here, what do you need?" said Cassie politely. "Cassie, it's me, Ashley. Uh, I'm really sorry, but...um..." Ashley mumbled. "But what?" Asked Cassie, feeling confused. "It's...It's... I can't make it to the farm. I forgot - I had something else on." Cassie felt two different emotions swelling up inside her; sadness and rage. "You forgot my BIRTHDAY!?" spluttered Cassie in disbelief, shaking her head. "But we've been planning for weeks! How...How could you?" "Look, it's not a big deal. I don't know why you're making such a scene. Its, like, SO immature." Ashley replied icily. Cassie was shocked. REALLY shocked. "Hey, Ash? Have you finished talking to that LAME girl you told me about? The dumb farmer one? Come on, I want to got to that new Go-Karting place that's just opened up!" said a voice in the background. Stiffening, Cassie asked, gritting her teeth,"Lame girl? Dumb farmer one? Who is that, Ashley and why were you talking about me!?" The line was cut dead. It was now the summer holidays. I had made a new best friend. We both had dark brown hair, a love for horses and detested the Feared Three. She was called May and owned a gorgeous light bay mare called Skylark. We called ourselves the Bay Besties. Weird, I know, but its all we could think of. It's kind of stuck now. We are planning on going camping with our horses for AGES. I'm going to take Spice and let Sugar teach a few novices to ride. Sugar loves considerate riders, especially young ones. She's the safest pony I know. "Have we got everything?" Asked May. "I think so," I replied, shifting my backpack further up my back. We had loads and loads of sandwiches and meals made my our parents, tents, torches, spare batteries, spare bridles and head collars and lead ropes. We also had sleeping bags and pretty much everything we needed. "Wait! I know what we're missing!" Said May. I'll update it sooner next time. In fact, I shall update in a minute. I swung lightly into the saddle and squeezed gently with my calves. Sugar responded eagerly and set off at a walk. I walked her round in a circle a few tines and then pushed her into a brisk trot. I exhaled delightedly as the warm breeze swam through the air. "Oh, I'm SO SORRY. I didn't know that pathetic AMATEURS exercised here," called a cutting voice from the fence. Charlotte was standing there, sitting on her chestnut Dutch warmblood, Hunter. I suddenly felt my face grow hot and red. Oh no! I was BLUSHING! Charlotte smirked in triumph at my defeat at hiding my embarrassment at her remark. Ava rode up behind Charlotte on a bay mare. She pointed at me, then the horse she was on and whispered something to Charlotte. They both laughed. I recognised that horse. Then it snapped. How DARE she!? "GET OFF MY HORSE!" I hissed. Suddenly, I remembered something. This was bad. Very bad. "She's never been ridden before! Get off! She's not ready!" Ava looked scared for a second, but she stuck her head in the air and retorted smartly, "I tamed her. She should be MY horse now." "What are you on about? Leave my horse ALONE or I'll... I'll get my PARENTS. This is basically HORSE THEFT!" I was shocked at Ava. "Fine," muttered Ava sulkily, "I'll just get a new horse. I mean, my parents will buy me one. 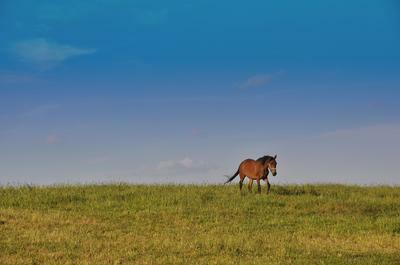 In fact, I saw a TOTALLY flashy thoroughbred horse." She dismounted poor Spice. I led Sugar and Spice home that night and gave them both apples as a treat. PLEASE KEEP WRITING! I LUV it!!!! Can't wait to hear what happens next. Please write more!! I love your story!!! I really want part 4!!!!!! Smiling, I patted Sugar's favourite spot on her wither. Sugar half-closed her eyes, looking peaceful. Then it was Spice's turn. I turned and faced the stall behind me, put my hands behind my back, and walked slowly -slowly- towards Spice. The tall bay was about 16 hands (a giant compared to Sugar, who stood only 14 hands). Spice nickered gently as I approached. She probably knew about the mint I was hiding in my pocket. I gave the mint and sighed heavily as I remembered school. Grabbing my school satchel, I ran over to bus, yelling goodbye. Ashley and Charlotte glared at me from where they were sitting. I glared back at them and stalked past them to my usual seat. It was raining heavily outside so I was soaked to the skin. Just a few stops before we got to the school a new girl got on. She had long, shiny black, hair and strangely bright green eyes. Ashley and Charlotte tried to direct her towards them but she came over to ME instead. "Mind if I sit here?" She asked me politely. Charlotte, who sat in front of me turned round and tugged the new girl's arm slightly. "Oh, you don't want to sit THERE. Come sit with us!" Charlotte told her. "I DO want to sit here, thank you very much." Said the new girl. "Hi, I'm Ava," said Ava, obviously talking to me, as she settled in her seat. "I'm Cassie!" I told her, smiling. "Oh mwasn't wasn! Cassie, she was talking to ME!" Charlotte laughed unkindly. "No, I was talking to Cassie1" Ava laughed. Charlotte flushed deep crimson and faked laughed. I found out that Ava was horse-mad too and owned a midnight-black gelding called -surprise, surprise- Midnight. Will be continued in the comments, blah blah blah, hoped you enjoyed! I really like the 2nd one!!! I was standing in a beautiful meadow, in the early hours of the day. "Sugar! Spice!" I called as I cupped my hands around my mouth. Two beautiful mares cantered around the trees towards me, then slowed to a trot, then a walk. Sugar was a grey mare, sweet and gentle, but Spice was quite the opposite. She was a dark bay and was defiant and cheeky. As I reached my hand out to stroke Spice she would trot playfully around me. A loud ringing filled my ears and I woke up suddenly. Just a dream, I thought sadly, when I was pulling on my clothes. It was a school day, Monday 13th February, and I dreaded having to face Ashley and that girl. "Cassie? The bus is here!" said my Mum, thrusting some toast into my hand. "Take care!" Hopping onto the bus, I saw Ashley sitting next to a girl with braided blonde hair. I saw Ashley point at me and then whisper into the girls ear. "Oh, Charlotte, you are SO funny! I can't believe you're here!" "Let's go for a ride after school. You can ride Max and I'll ride Midnight." Charlotte smirked as she saw a slight look of disbelief cross my face; Max was MY favourite barn horse! I couldn't take it any longer. When I passed them I hissed, "I can't BELIEVE you! You bring MAX in to make me jealous and angry! HOW COULD YOU!?" "Well it's working, isn't it, Cassie?" Ashley replied cool, "You ARE jealous and you ARE angry." I made a little strangled noise in frustration and stormed to the back of the bus. "Dads taking care of the orphan lambs, if you're wondering,"said my Mum. She must've noticed my glum face. "What's wrong, honey?" "Ashley is being a brat... Uh...I mean...You didn't hear that okay Mum?" I mumbled. Mum looked at me pityingly. "How about we go for a walk by the Willow Creek Meadows? I know how much you love it there!" Mum suggested. "Yes please!" I jumped up at the thought and pulled on my wellies. We chatted happily as we walked through the meadows. This stretch of trees seemed familiar. Suddenly, two mare cantered towards us. I KNEW these mares but something was horribly wrong. They were the same. but terribly underweight, their manes and tail knotty. My Mum and my Dad caught the grey mare and I was left on my own to catch the bay. She was more afraid than the grey and cantered around me until, on it's own accord, my hand shot out and grabbed her head collar. I didn't even know I had reflexes like that. Smiling to myself, I turned her around and followed my parents. Two riders rounded the corner. "Oh. You." said Ashley flatly. "Are they YOUR mares? Ha! They're PATHETIC!" Charlotte laughed. Her laugh echoed in my head. "Well OF COURSE they're my mares. I've just rescued them! They were probably abandoned by people like YOU!" Satisfaction filled me and I quickly hurried back to my parents. Ashley and Charlotte stared after me with a shocked expression on their faces. Will be continued, once again, in the comments. This story is really good so far! Keep writing please! Please write another. I LOVE IT SO FAR! Please, please, please keep writing! I love the drama, the conflict, the bff feuds! Keep going! So interesting!